For established sellers: There is a cool new feature with direct deposit!! 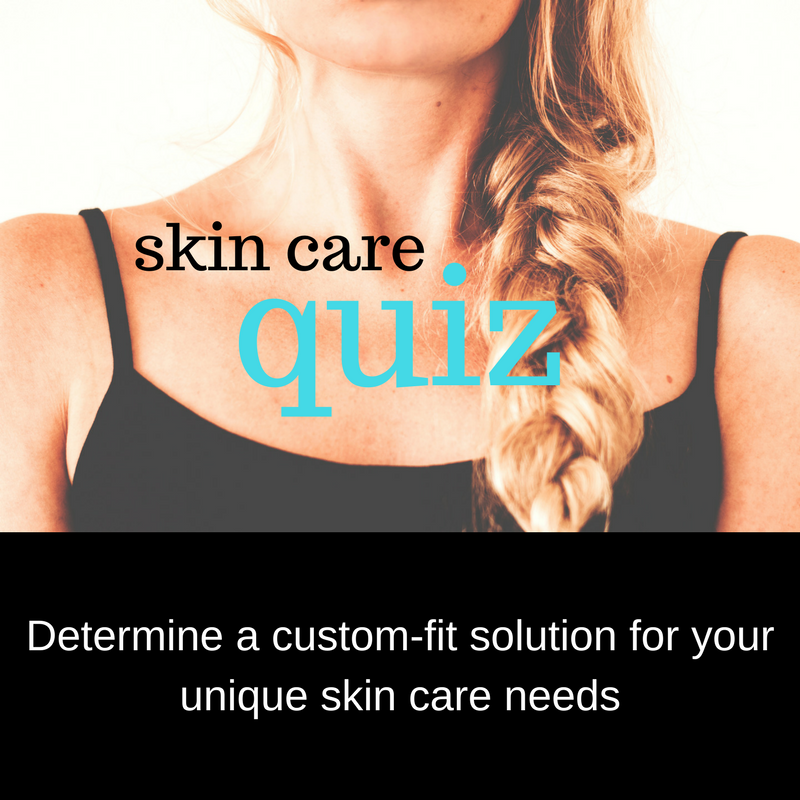 Credits = Poshmark credits available to you. These are not redeemable for actual cash and can only be used within the Poshmark app. 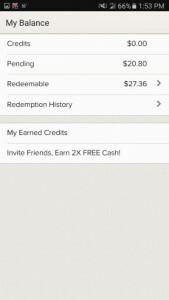 Credits are earned when you invite a new user to the app and they make their first purchase. Sometimes, Poshmark might also offer you credits to resolve a mistake that they made. 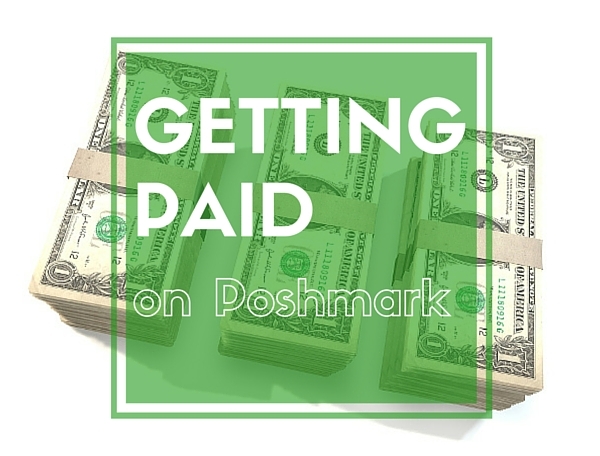 Pending = Funds from sales that Poshmark is currently holding for you. This will be the amount of your sales after Poshmark’s 20% fee has been taken out. So if you just sold a pair of pants for $20, then you will see $16 in your pending balance. The funds will remain pending until the pants have been delivered to the buyer and accepted (or 72 hours has passed from the delivery time stamp). Redeemable = Funds that have cleared and are available for you to put into your own bank account. You can choose how you want to redeem your funds and how much you want to take out or leave in your Poshmark account. You can redeem your funds by either direct deposit or by requesting that a physical check be mailed to you. Direct deposit will be so much quicker than requesting a check. I have always redeemed my funds through direct deposit. So I’m not sure what Poshmark will do if something goes wrong with requesting a check, like if it gets lost in the mail or stolen. 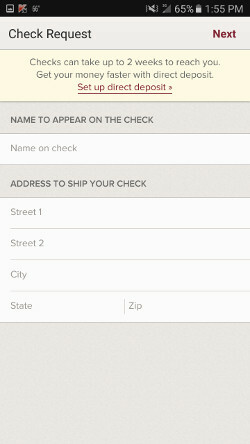 If you do decide to request a check, then you just need to fill out your name and the address that the check should be mailed to, then confirm the details on the next screen. Since this can take several weeks, make sure that you will still be at the same address for that amount of time. When requesting a check, the entire Redeemable balance will be sent. Direct deposit is SO much faster. It might take a few days the first time, but now my payment usually clears the next day. When redeeming your funds via direct deposit, you will need to enter your bank account and routing number. I wouldn’t worry too much about security. Poshmark has a team of in-house software developers and I have never heard of anyone’s financial information being compromised through the app. That doesn’t mean it can ever happen, but I think it’s reasonably safe to trust using this feature. 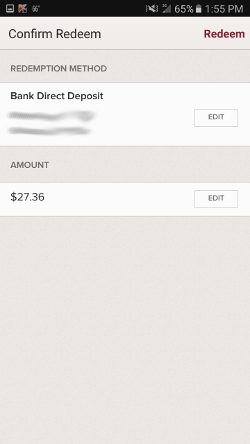 Also, when using direct deposit, we now have the ability to edit the actual dollar amount before requesting it! (Up to the actual amount redeemable, of course) That means, if you have $27.36 available, but you only want to transfer $5 to your bank account and leave the rest in Poshmark, you can totally do that. When you submit your payment, you will see a confirmation on the screen and you should also receive an email confirming your request for direct deposit or a check. And then you get paid!! Woohoo! You can redeem or not redeem your money however you wish. And this is made even easier with the new feature that lets you choose exactly how much money to deposit into your bank account. Some sellers redeem their balance after each sale clears. Or once a day if they are consistently making multiple sales a day. Other sellers wait and redeem their balance once a week or once a month. You can also keep the funds in Poshmark and consider it a savings account alternative. I did this for a while when I was saving up for a front loader washing machine and dryer set. I figured that, if the money was in my bank account, I was more likely to spend it, so I just left it in Poshmark until I had met my goal. 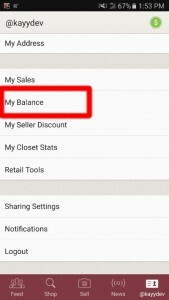 Although, the risk of leaving the funds in Poshmark is that it can be tempting to make more purchases in the app because you already have a balance in there. But if you are already planning on doing some shopping, then it’s super convenient to just use your earned funds. It’s basically like shopping for free! Do you usually use your earnings to buy more clothes in the app or do you transfer them to yourself and get paid for all of your sales? Drop a note in the comments below! I requested my money by direct deposit on Poshmark and I accidentally provided the wrong account and routing numbers. I was looking at the wrong numbers on my check. I wanted to know how I could correct this. Is there any way I can fix it? I already emailed Poshmark but I don’t know how long it will take them to reply. Please, I need your help!! Hey Stephanie, I apologize for not getting to your comment sooner as I was on a long vacation. I hope the issue has been resolved by now! 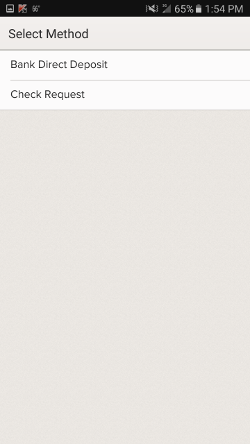 That is an issue that only Poshmark support can handle. My guess would be that the transaction should have failed if the bank account and routing number did not match up, but I hope they were able to get your payment to you. You should be able to change the email address for your account by going to “My Profile”. Sometimes Poshmark’s seller support can take several days to respond to inquiries if they are receiving a high volume of messages. One thing to note is that emailing them again will push your message back down to the bottom of the queue, so usually it’s best to wait for the response. Hi I need help. I requested my money by direct deposit on Poshmark on 3/16 and 3/22. I don’t get my money at my bank yet. If I don’t get my money by 3/23 they suppose to give me a email but I don’t get it too. I emailed them but no reply. I’m getting to worry about they will give me money or not. Please help me. It’s a lots money. Is this your first direct deposit request from them? My first one took almost a week, but every direct deposit after that only took 1-2 days. Sometimes it can take a while for Poshmark support to respond to emails depending on how many other people are emailing them too. It looks like sometimes posting on Poshmark’s facebook page with the support ticket # can get them to respond quicker. But don’t keep emailing them as that will push your emails down to the bottom of the queue each time. Yes this is my first direct deposit. It is already day 6. Do you think they will keep my money? I’m worried about Because they deleted my account after my first direct deposit though and my sencond deposit was 3/22.. they deleted my account but I still can move my money. That’s odd that Poshmark would delete your account. 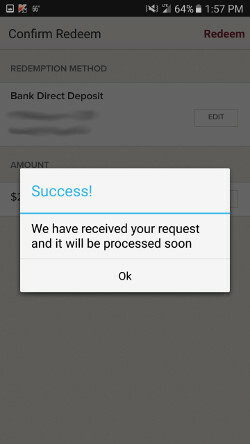 You may need to contact your bank as well to see if there are any pending desposits. Hello,Kiersten. My name is Smith. You got the paid.I have one question. Who is the sender? Is it poshmark company or personal? Hey, I don’t believe you purchased anything from my closet. If you did make a purchase from a seller on Poshmark, then it will be shipped by the owner of that individual closet. In many cases, that is a single person, but there are more and more businesses using Poshmark as well. The only case where you will receive a package directly from POshmark is if your purchase was $500+. In that case, the seller ships their package to Poshmark so they can verify authenticity and then Poshmark ships it to you. I meant they closed my closet, I can’t buy and sell. But I could touch my money. Since I can’t buy on Poshmark I don’t need my money in Poshmark so I requested a direct deposit. I said 6 days that’s business day so already 8 days. I will call my bank and should wait email from Poshmark. That’s a lot of money to be out! Have you requested direct deposit before your account was banned? 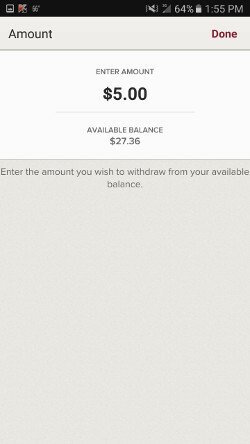 The first time I had money direct deposited, it took around a week, but after that it was only a day or 2. I have heard of some people getting a response by going to Poshmark’s facebook page and commenting publicly. But if you email them again, then unfortunately your email address gets pushed to the bottom of the queue again. They should at least release your the funds that you earned, especially since you have already sent product out.